Ships have always been valuable and have always been recycled. They are the greatest assets ever moved in bulk that representing such investment that entire new system of banking and government have been designed to finance them. Given their value, ships does not simply disappear once they are no longer seaworthy. The wood from the earliest dog out canoe for example, would have provided walls and shelters to the people. The fitting on the Viking’s longship has been benefited the local village with the high quality timber and the copper on the ship’s bottom have been invaluable in the future construction projects. Another famous example is the luxurious departmental store in London ; Liberty that has been constructed from the timbers of the fighting ships HMS Impregnable and HMS Hindustan in 1875. As shipbuilding advances, iron and steel had replaced the woods. As a result, ship scrapping played a major part in resourcing the industrial revolution. After the World War II, a vast amount of steel available from the redundant warships and cargo ships. These ships were scrapped at places such as Inverkeithing in Britain and yielded approximately 500,000 tonnes of high quality steel. 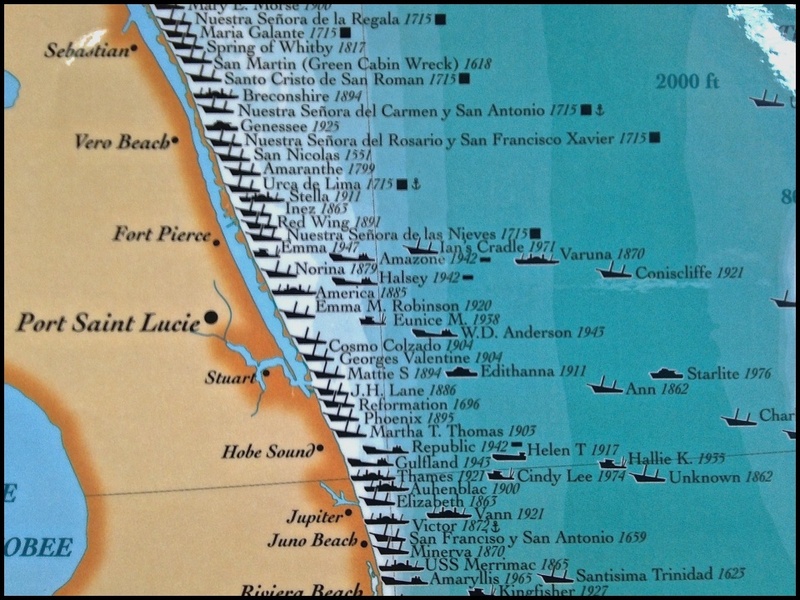 The ship scrapping industry continued in places such as La Spezia, Italy and Japan. During 1980s, Kaohsiung port in Taiwan and Alang, a coastal town in Indian state of Gujarat experienced their first major growth spurt in scrapping following by Pakistan and Bangladesh. The shipping industry was slow to notice these development. This isn’t surprising as once the ship were set to be scrapped, the original owner is commonly unaware of its destination. In 1995, The Baltimore Sun became the first media to became aware of the issues after Will Englund reported the issues surrounding ship recycling when USS Coral Sea was being scrapped in Brownsville. 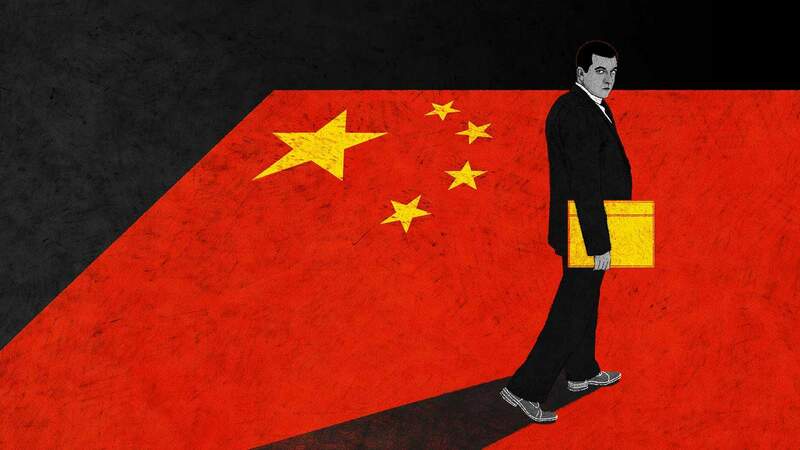 This lead to the prosecution on the responsible company under the Clean Air and Clean Water Acts. 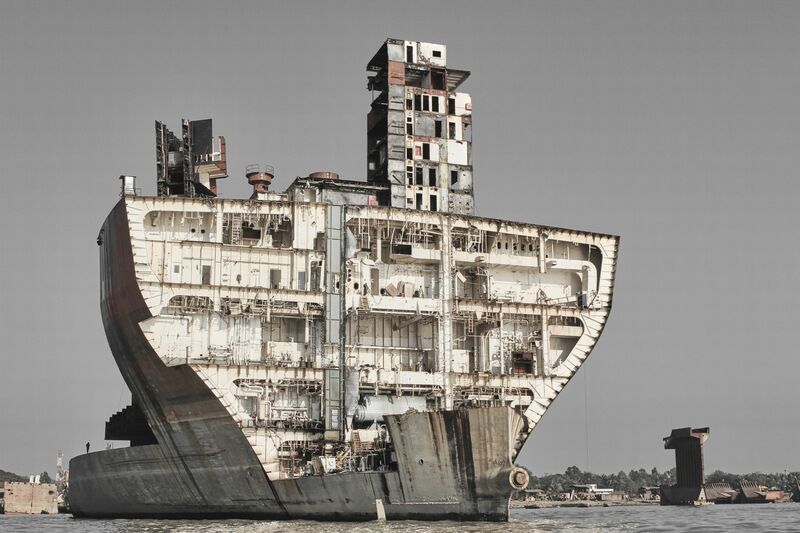 Englund and investigative reporter, Gary Cohn published a series of articles exposing the worst excesses of shipbreaking around the world. They won Pulitzer Prize on 1998 for the fascinating reports. The first Global Ship Scrapping Summit was held in Amsterdam in 1999. “Ship Recycling” term has been introduced for the first time by Jim Davies of the International Maritime Industries Forum (IMIF). 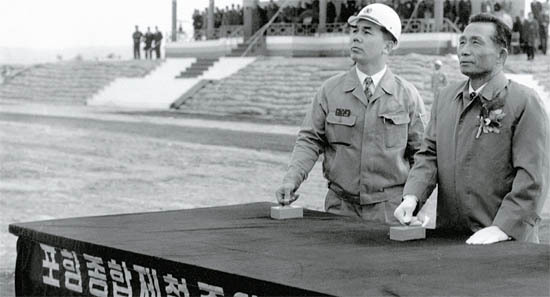 He asserted that ship recycling was actually an enviably efficient process. An ‘Industry Working Group on Ship Recycling’ was rapidly formed under the chairmanship of the International Chamber of Shipping (ICS), consisting of the major shipping industry bodies. The group delivered the first practical guidance on ship recycling – the Industry Code of Practice on Ship Recycling in August 2001. Guidelines for the Environmentally Sound Management of the Full and Partial Dismantling of Ships in 2003, and the International Labor Organization (ILO) published Safety and Health in Shipbreaking: Guidelines for Asian Countries and Turkey in 2004.
was set up under the chairmanship of Bangladesh and at MEPC 46 in April 2001 a Working Group was established. 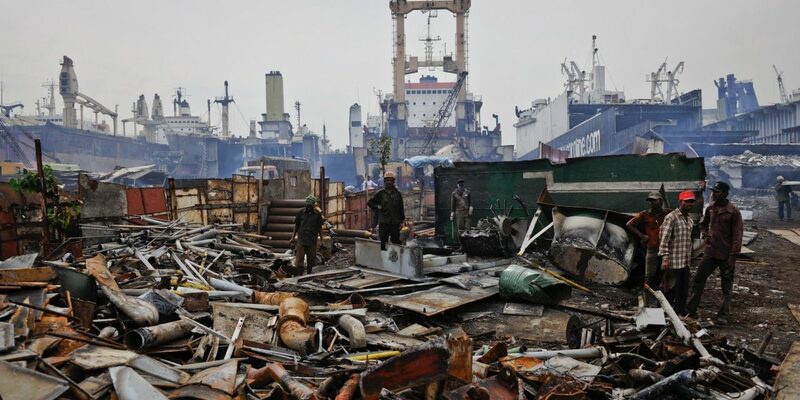 Despite the IMO Guidelines, there was still potential for confusion for owners wishing to recycle their ships, especially given the other recycling-related legislation which existed – legislation such as the Basel Convention. The only way forward was to create statutory requirements by developing a legally binding international convention. The IMO set an ambitious deadline to complete this within the 2008/2009 biennium. Norway, in particular, acted very strongly in support of this and provided the first draft for discussion at MEPC 55. The text was developed over three and a half years with input from IMO member states and relevant non-governmental organisations, and in co-operation with the International Labour Organization and the Parties to the Basel Convention. Lloyd’s Register, through IACS and discussions with other stakeholders, was also actively involved in the Convention’s development. Such was the impetus at the IMO that the deadline was achieved and the Hong Kong International Convention for the Safe and Environmentally Sound Recycling of Ships was adopted in May 2009. 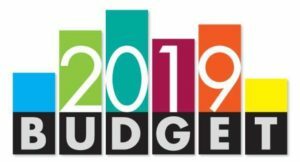 In the recent Budget 2019 speech presented by Finance Minister Lim Guan Eng, he mentioned on a scheme to help the Malaysian to own a house. 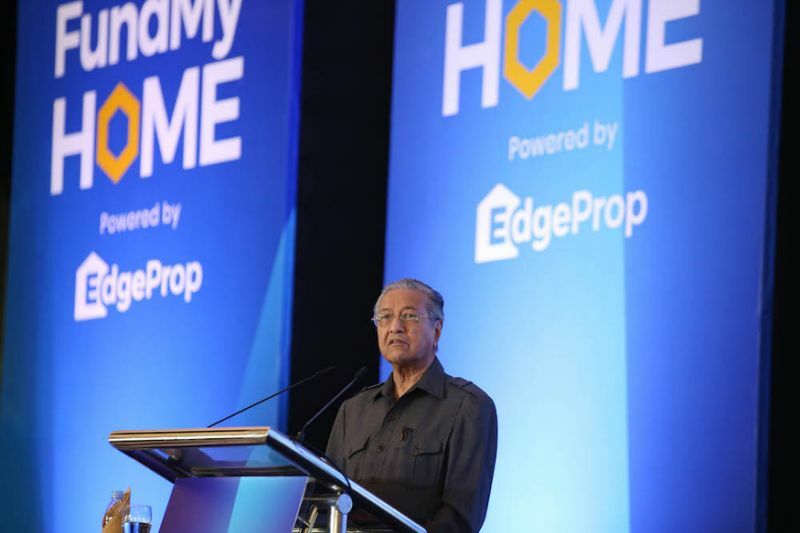 It is called “FundMyHome”, the first peer-to-peer (P2P) financing scheme in Malaysia which initiated by EdgeProp Sdn. Bhd. You can picture it as a crowdfunding to buy a property which involving 3 parties: Developer, Investor and of course you as the Buyer. Buyer and investor will buy the property together from the developer based on the equity percentage 20% and 80%. The buyer will choose the completed property on their website and pay 20% from the property price. On the other hands, FundMyHome will find the investor to buy the remaining 80% shares. The investor will get a steady 5% return per annum for 5 years while you as a buyer will have a 5-year staying period without having to pay a single cent. After 5 years, buyer can choose to sell or own the property by buying the remaining 80% equity based on the market price. Different scenario if the property has 0% or negative appreciation in value which I think most likely will not be the case. Let’s see from the buyer’s perspective. From the way I see it, their main target clients would be the first-time home buyer and those that did not get any loan offer from the banks due to bad credit rating. It may sound pretty and hassle free but you need to know the consequences in a long run. Most of the people I know are buying property either for own stay or investment. If you are buying the house for own stay and you are eligible for bank loan, I would not recommend this scheme. You might end up paying more than the initial price. But if you are looking for investment, you can still consider this option as long as what you gain is more than what you pay. Bear in mind, the rental period is just limited to 5 years and the risk is high. From the news and articles I found over the web, some says the scheme is the place where the developers dump their unsold property and selling them way above the market price. To be fair, I would not say that this scheme is totally bad. 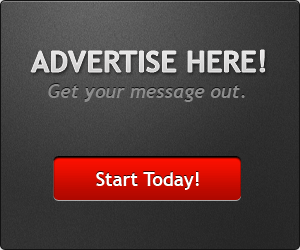 It might suit some people based on their financial situation and needs. Whatever it is, the choice is yours. SETIAP kali pembentangan bajet negara, seramai 1.6 juta penjawat awam pastinya tidak sabar menunggu pengumuman bonus, manakala rakyat berpendapatan rendah dan sederhana pula mengharapkan pengumuman bantuan kewangan dan pelbagai subsidi. Tidak terkecuali Bajet 2019 yang akan dibentangkan Jumaat ini, ditunggu-tunggu pelbagai lapisan masyarakat untuk mengetahui goodies atau oleh-oleh yang memanfaatkan mereka. Bajet berkenaan juga yang terakhir sebelum negara melangkah ke 2020 bagi merealisasikan Wawasan 2020 untuk menjadi negara maju mengikut acuan sendiri yang diilhamkan Perdana Menteri, Tun Dr Mahathir Mohamad pada 1991. Bagaimanapun, kalangan penganalisis ekonomi yakin tidak banyak goodies yang diperoleh rakyat berikutan keadaan ekonomi negara yang tidak mengizinkan ketika ini. Ada dalam kalangan penganalisis ekonomi menjangkakan tiada pengumuman mengenai bonus kepada penjawat awam, begitu juga kenaikan gaji dan elaun. 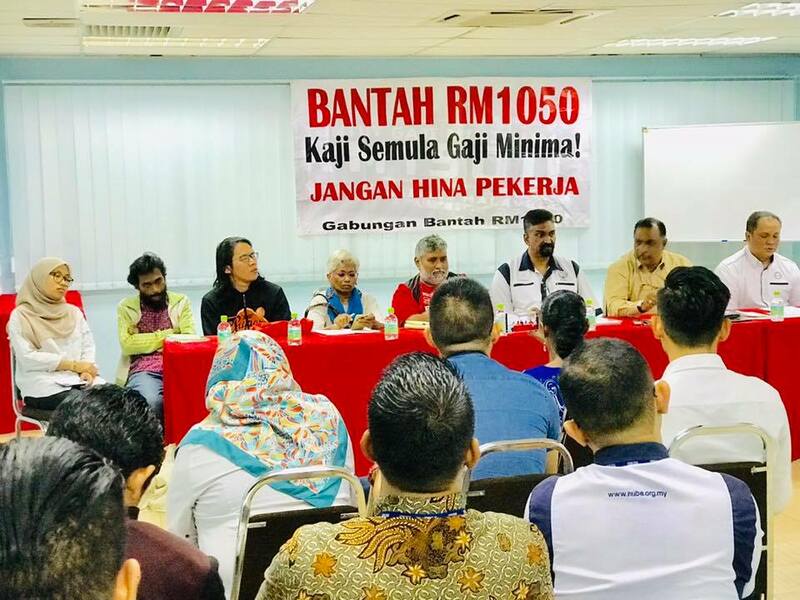 Bantuan Sara Hidup Rakyat (BSH) yang menggantikan Bantuan Rakyat 1Malaysia (BR1M) yang memanfatkan 4.1 juta penerima juga dijangka ditukar daripada pemberian wang tunai kepada barangan makanan. Pakar ekonomi, Prof Dr Barjoyai Bardai menjangkakan subsidi minyak juga akan dikurangkan untuk meningkatkan pendapatan negara demi manfaat rakyat. Perbelanjaan untuk sektor pertahanan dijangka dikurangkan, manakala tumpuan perbelanjaan kekal terarah kepada pendidikan dan kesihatan. Walaupun sektor pendidikan terus diberi tumpuan, jumlah pinjaman menerusi Perbadanan Tabung Pendidikan Tinggi Nasional (PTPTN) mungkin dikurangkan. Bajet 2019 boleh dianggap ‘belanjawan zaman susah’ berikutan bebanan hutang negara ditinggalkan Barisan Nasional (BN), selain jangkaan berlaku kegawatan ekonomi negara. Sebagai belanjawan pertama kerajaan Pakatan Harapan (PH) selepas mengambil alih tampuk pemerintahan negara, sudah tentu kerajaan akan melakukan sesuatu yang akan dikenang oleh rakyat, aspirasi itu pastinya akan diambil kira oleh kerajaan. “Namun, saya menjangka belanjawan untuk Pendidikan Teknikal dan Latihan Vokasional (TVET) akan meningkat kerana kerajaan memerlukan tenaga kerja berkemahiran tinggi serta memperkenalkan pembelajaran kemahiran baharu bagi mendepani cabaran Revolusi Perindustrian 4.0,” katanya ditemui, baru-baru ini. Langkah menangani isu kos sara hidup kumpulan berpendapatan isi rumah 40 peratus terendah (B40) dan kumpulan berpendapatan isi rumah 40 peratus sederhana (M40) sewajarnya diberi tumpuan dalam Bajet 2019. Bagi golongan tidak memiliki rumah sendiri sudah tentu mereka mahukan kediaman selesa untuk keluarga dan mengharapkan ada subsidi dan inisiatif diperkenalkan kerajaan. Mereka sudah tentu mahu inisiatif yang akan diperkenalkan oleh kerajaan menerusi penggabungan semua agensi yang berkaitan perumahan negara menerusi Majlis Perumahan Mampu Milik Negara (MPMMN) memberi manfaat dan penyelesaian kepada masalah ketidakmampuan memiliki kediaman sendiri. Rumah mampu milik isu yang berpanjangan yang bagaikan tiada penyelesaian sehingga ada menganggap rumah yang ingin dimiliki sebenarnya hanya ‘rumah mampu tengok’ bukan mampu dimiliki. Penubuhan MPMMN diumumkan oleh Dr Mahathir ketika membentangkan Kajian Separuh Penggal Rancangan Malaysia Ke-11 (RMKe-11) bagi menyelaras pengurusan perumahan mampu milik awam. Menurut Kumpulan Bank Dunia, kenaikan harga makanan dan rumah serta pertumbuhan upah yang tidak menentu di Malaysia dijangka meningkatkan kos sara hidup kumpulan berpendapatan rendah secara lebih cepat dan beberapa kali ganda, berbanding golongan berpendapatan pertengahan dan tinggi. Ketua Pakar Ekonomi dalam Makroekonomi, Perdagangan dan Pelaburan, Richard Record berkata, agensi itu menjelaskan jumlah yang tinggi daripada pendapatan isi rumah yang dibelanjakan golongan berpendapatan rendah ke atas makanan dan perumahan melonjakkan inflasi kumpulan itu melebihi kadar purata. Sebab itulah Bajet 2019 perlu mengambil kira kepentingan golongan berkenaan, apatah lagi mereka golongan yang memberi sokongan padu kepada PH sehingga membentuk kerajaan dalam Pilihan Raya Umum Ke-14 (PRU-14), 9 Mei lalu. 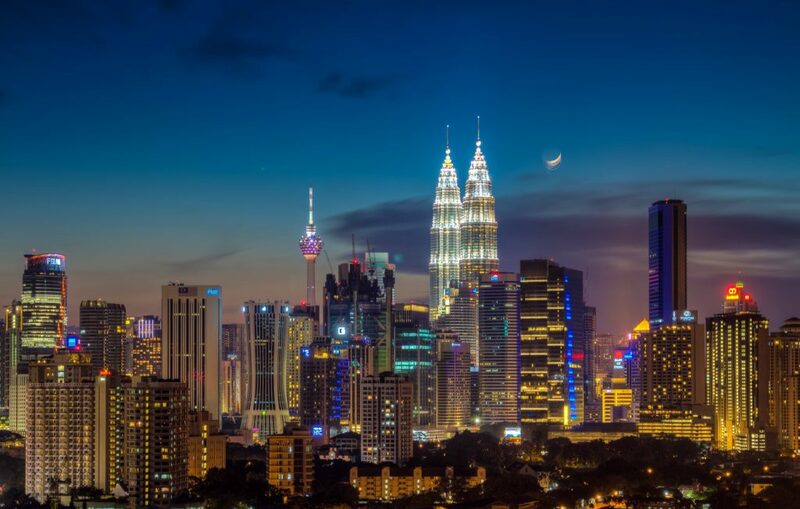 Portal hartanah, PropertyGuru Malaysia (PropertyGuru) pula mengesyorkan kerajaan membenarkan pembukaan tanah rizab untuk pembangunan perumahan mampu milik pada pembentangan Bajet 2019. Langkah itu menurutnya dilihat mampu membantu meningkatkan pemilikan kediaman dalam kalangan rakyat tempatan. Bantuan Pelajar Pendidikan Tinggi atau Baucar Buku 1Malaysia juga dinanti-nantikan pelajar, sama ada dasar itu diteruskan atau sebaliknya, hanya diketahui Jumaat ini. Bantuan sebanyak RM300 setiap pelajar yang didebitkan menerusi Kad Diskaun Siswa 1Malaysia (KADS1M) memanfaatkan 1.2 juta pelajar pra-universiti, institusi pengajian tinggi (IPT) dan matrikulasi tahun ini. Kerajaan sepatutnya meneruskan bantuan ini kerana ia memberi manfaat kepada pelajar dan jika jumlah penerima dikurangkan, ia seharusnya menumpukan kepada mahasiswa daripada keluarga berpendapatan rendah. Penduduk Sabah dan Sarawak juga sudah tentu mahu menerima manfaat daripada belanjawan berkenaan dengan kurang-kurangnya 30 peratus daripada peruntukan pembangunan keseluruhan dalam Bajet 2019 disalurkan kepada dua negeri terbabit. Pengerusi Pakatan Harapan Sarawak, Chong Chieng Jen mahu jumlah peratusan itu setimpal dengan keperluan pembangunan di kedua-dua wilayah, khususnya di kawasan pedalaman dan luar bandar yang serba kekurangan. Berdasarkan belanjawan terdahulu yang dilaksanakan kerajaan BN ketika itu, Sabah dan Sarawak hanya memperoleh 10 hingga 13 peratus peruntukan pembangunan dalam bajet Kerajaan Persekutuan. Dalam bajet kali ini, sudah tentu kedua-dua negeri ini mahu peruntukan lebih adil bagi memperkasakan pembangunan bersesuaian dengan saiz kedua-duanya sebagai wilayah terbesar di Malaysia. 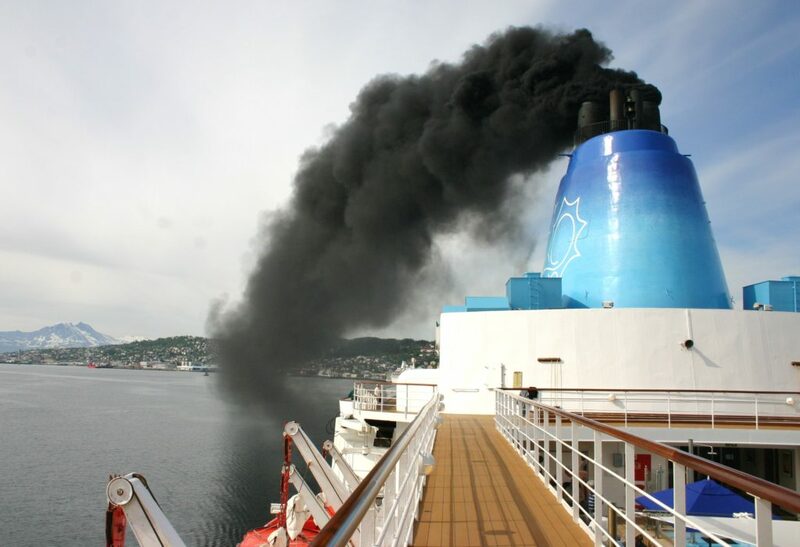 Limiting SOx emissions from ships will improve air quality and protects the environment. 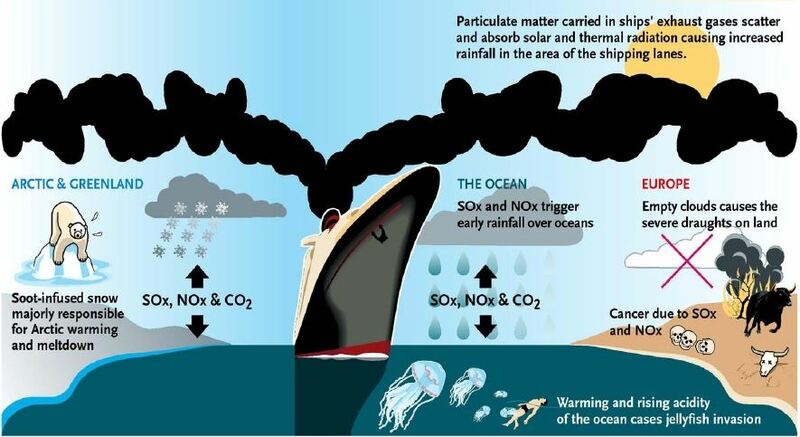 This is the reason why the International Maritime Organization (IMO) will enforce the emission limit of sulphur to 0.50% m/m (mass to mass) by 1 January 2020. Currently in certain area the emission has stricter limitation at 0.10 % m/m. This is the Emission Controls Area (ECA) zones that includes Baltic Sea area; the North Sea area; the North American area (covering designated coastal areas off the United States and Canada); and the United States Caribbean Sea area (around Puerto Rico and the United States Virgin Islands). What should the ship owner do? 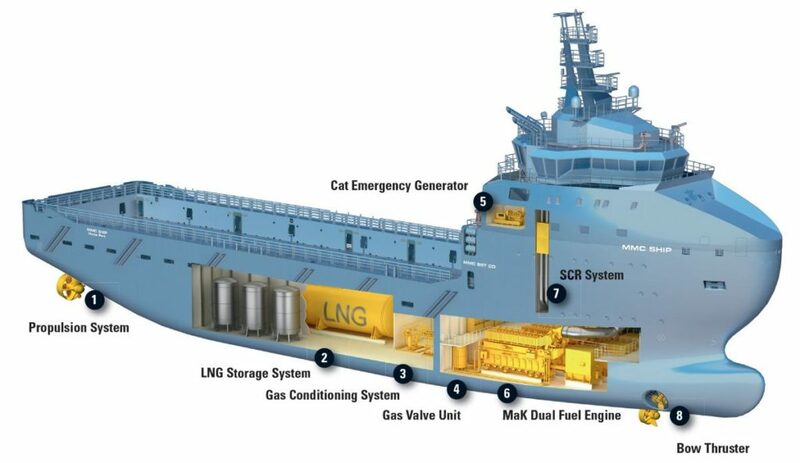 Most of the merchant vessels in the world are equipped with diesel engines which are running in marine diesel oil (MDO) and heavy fuel oil (HFO). 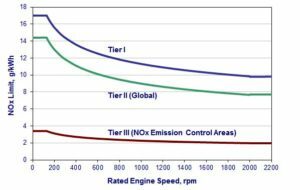 These engines are classified according to the IMO emission standards that commonly referred to as Tier I to Tier III standards. In the presence, IMO Tier I engines are no longer in service due to the regulations. To further comply with the becoming IMO 2020 sulphur, the ship owners may opt to use emission compliant fuels such as LNG. They need to do major overhaul on the main engines; to change to engines that can run on the compliant fuels. This alteration may take some time and costly. Another option is to install the scrubbers. It is an additional structure that being installed at the funnel area to act as a ‘filter’. The sulphur oxides from the exhaust are passed through a water stream system (gas treatment unit) to become sulphuric acid. This highly corrosive acid will be neutralised with sufficient alkaline seawater before being discharged to open seas. Since the beginning of 2018, the scrubbers retrofit work had gradually increased. A survey of EGCSA members and recent reports have revealed that major ship operators such as Spliethoff, Frontline, DHT and Star Bulk have opted for scrubbers. 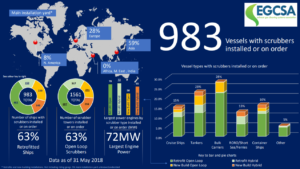 The survey showed that 63 per cent of all ships have been or will be retrofitted with scrubbers, with 37 per cent are new building installations. 988 of 1,561 individual scrubber towers installed or on order are for open loop scrubbing. Bulk carriers are reportedly the top ship type adopting scrubber technology, with containerships and tankers following. In each of these sectors, open-loop installations predominate. What happen to vessels not comply with the new regulation? The vessels might be sanctioned and fined by individual Parties to MARPOL such as flag authorities and port States. IMO does not set fines of sanctions.